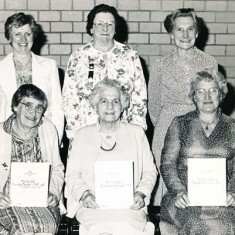 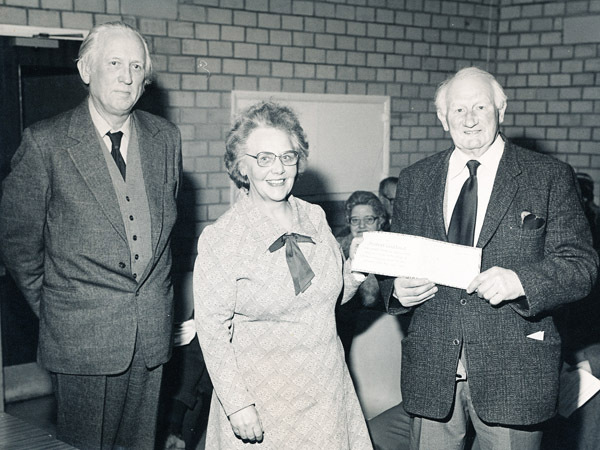 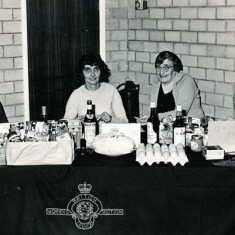 British Legion, on right, Ivy Cook and Thelma Hoare. 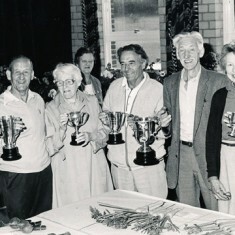 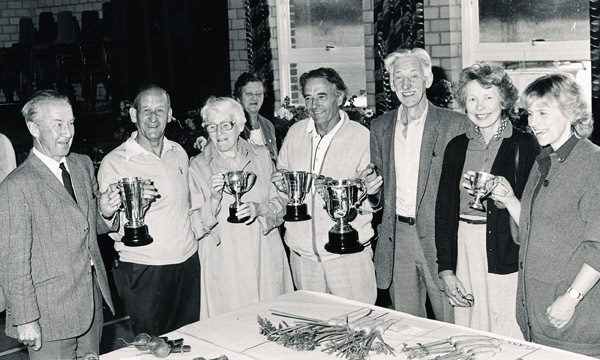 Garden Club Annual Show in Village hall, cup winners. 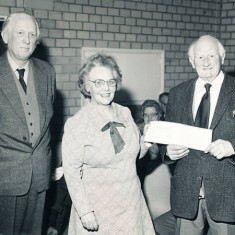 On left, Admiral Dennis Mason, on right, Paddy Mason and Jane Atkinson. 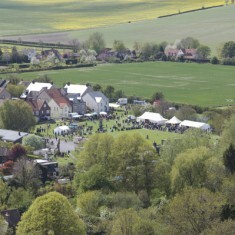 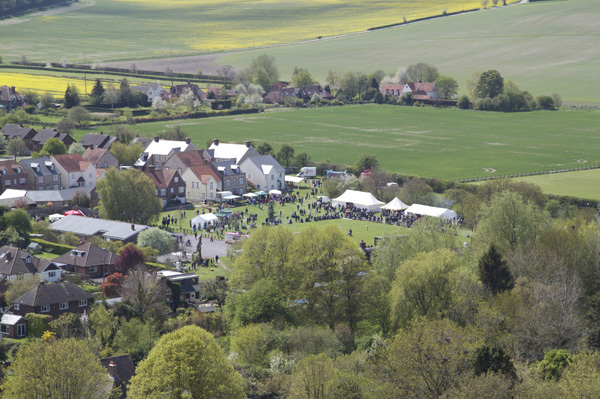 Aerial View of Country Fair, an event which has taken place every year since 1993. 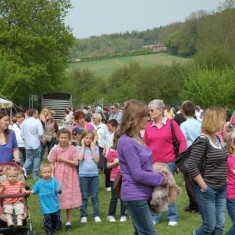 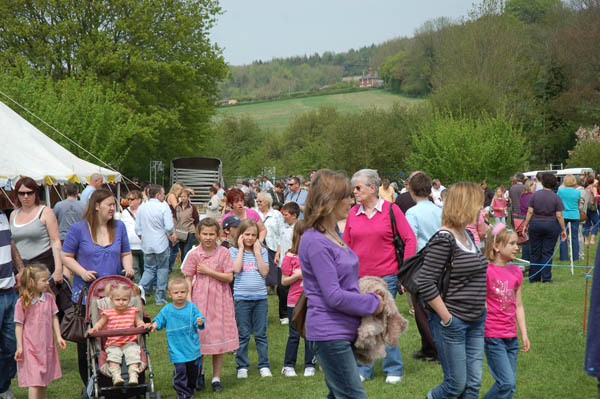 Thousands of people, from all over Hampshire, visit the Country Fair each year. 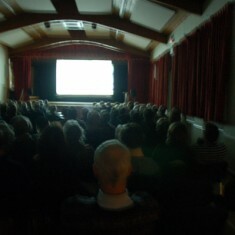 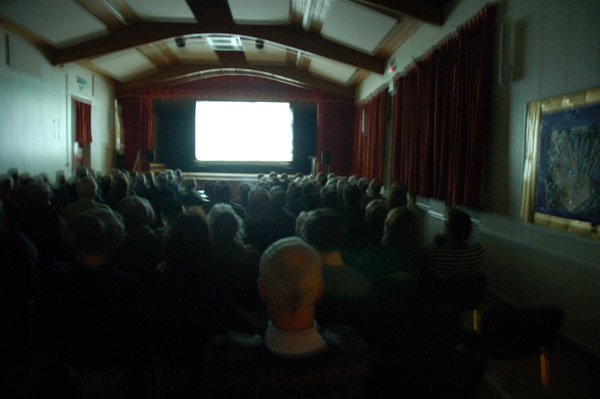 Since 2006, films have been screened on the last Friday of the month from September to April. 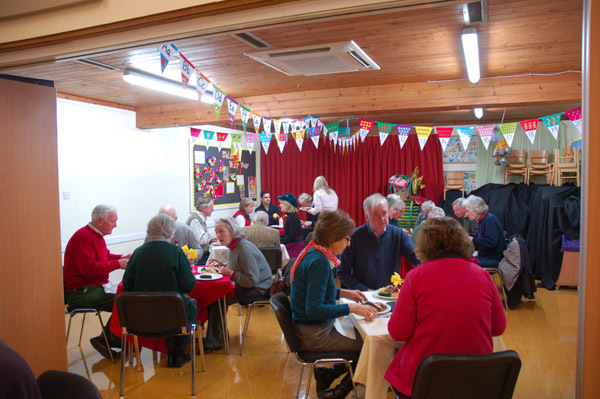 From 2014, a supper club has been held before film screenings. 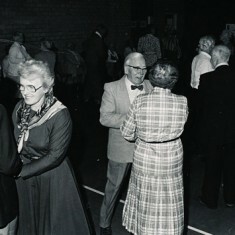 The Hall was open in January 1975. 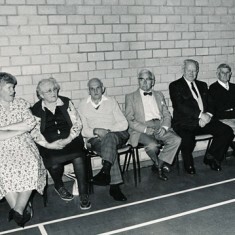 Notes are attached of principal events recorded in the minutes of meetings of the Management Committee; copies of the Minutes are available in the Library, X/14 – X18. 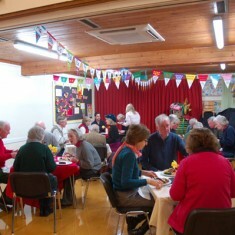 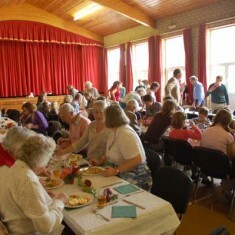 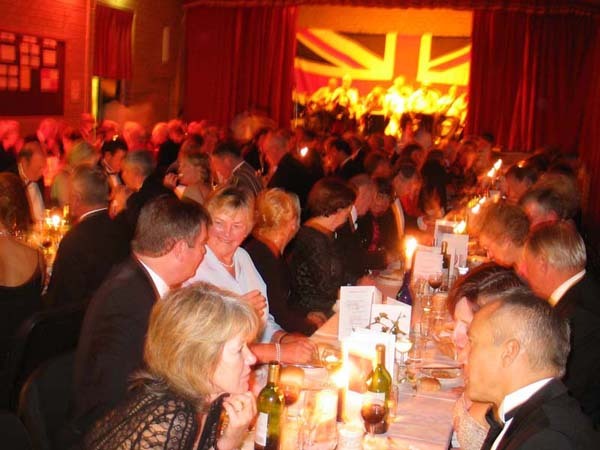 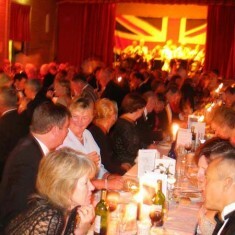 Above are some of the activities which have taken place in the Village Hall. 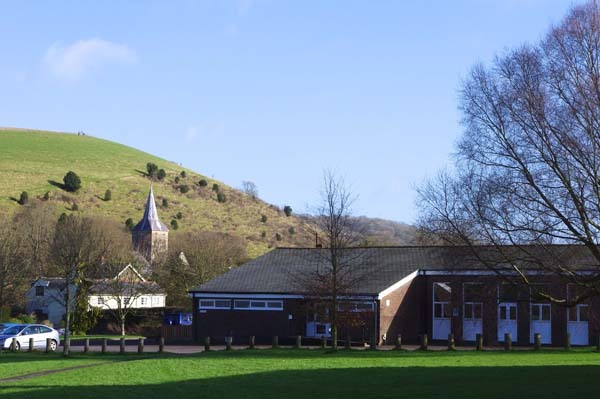 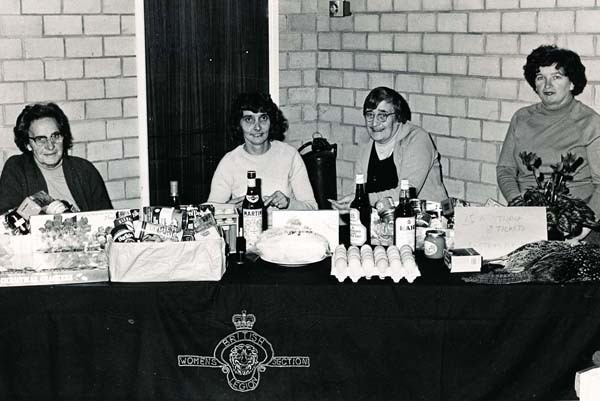 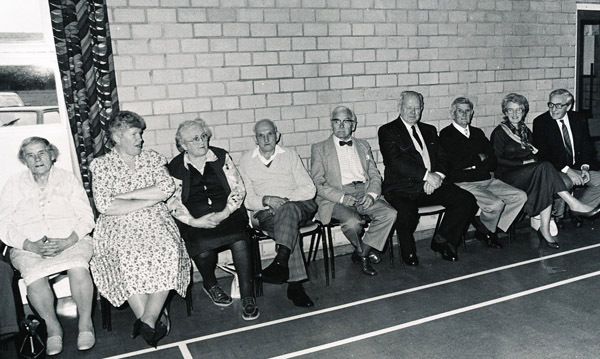 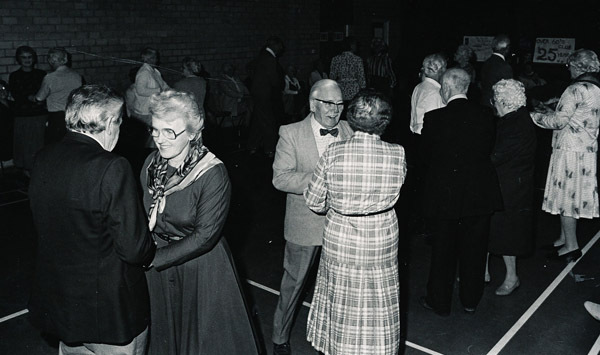 In February 1995, there were celebrations to mark the 20th anniversary of the opening of the new Village Hall, These were recorded on video and a DVD is stored as X19,. 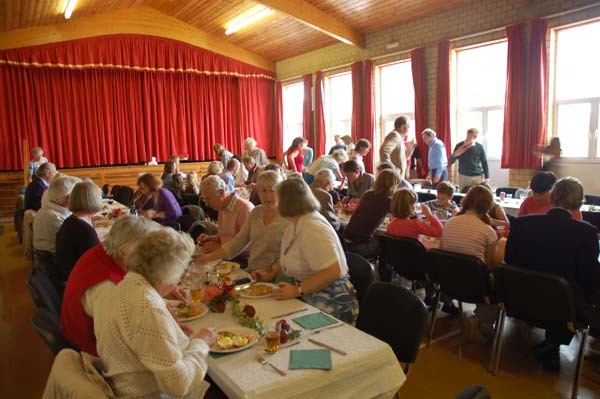 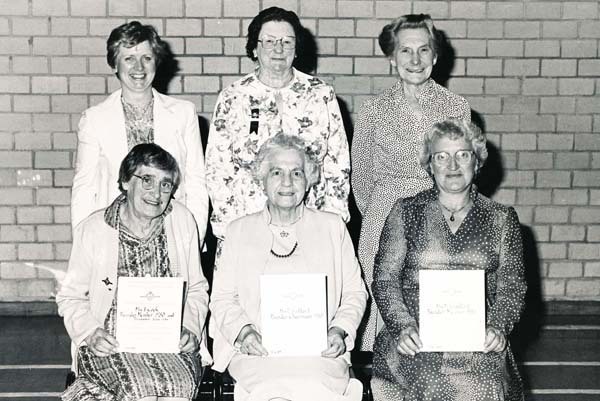 It includes speeches by John Simpson, then Chair of the Village Hall, Freddie Standfield (his manuscript is stored in the ’Sale of the Institute page), Lettice Ross and Susan Davenport.